Aras relies upon certified partners for the development of connectors between Aras Innovator® and authoring tools such as MCAD’s, ECAD’s and MS Office®. These connectors are certified and included in the official price list for the product. 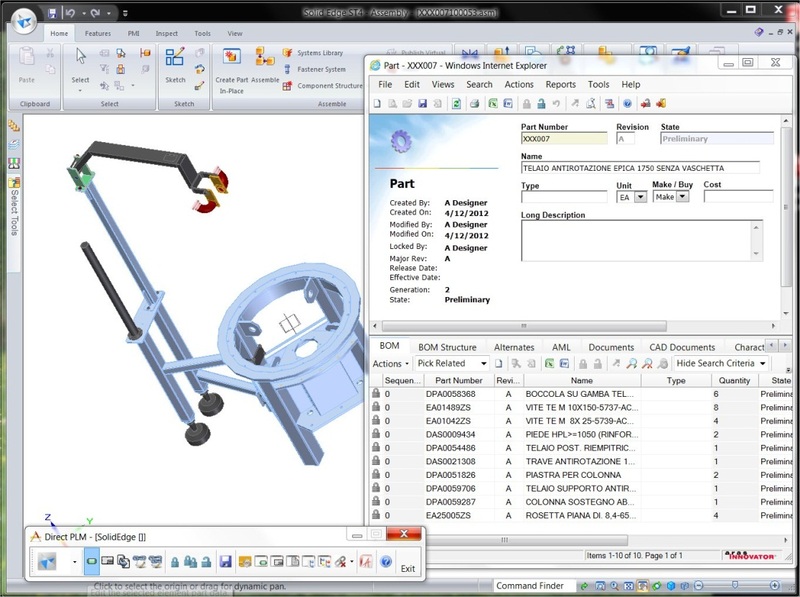 CAD connectors allow capturing the product structure and possible relationships among parts and files to generate or update automatically the corresponding entities in the PLM and their relationships, ensuring the alignment between CAD data and PLM information. Direct PLM is our connector between Aras Innovator®, the innovative solution for Product Lifecycle Management by Aras Corp, and the most popular CAD systems: SolidWorks, Solid Edge, AutoCAD, Inventor, thinkdesign and others. The architecture and the user interface of Direct PLM are designed to streamline the flow of information between the design phases and the rest of the company processes, to ensure full and efficient integration of PLM with design and documentation activities. Direct PLM also supports Microsoft Word®, Microsoft Excel® and Microsoft PowerPoint® integration. 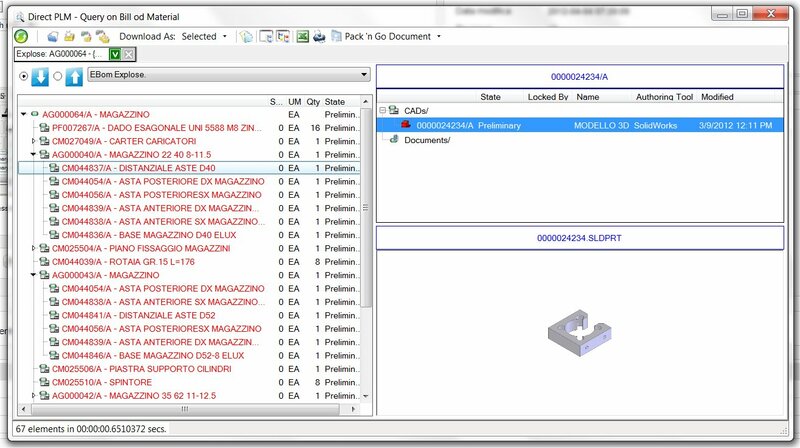 Implemented as an independent external application – so that no piece of software is required on board of the authoring tool – Direct PLM has the same lean, non-intrusive interface for every supported CAD. This feature is very valuable in multi-CAD environments, or if a legacy CAD system must be gradually replaced by another product. 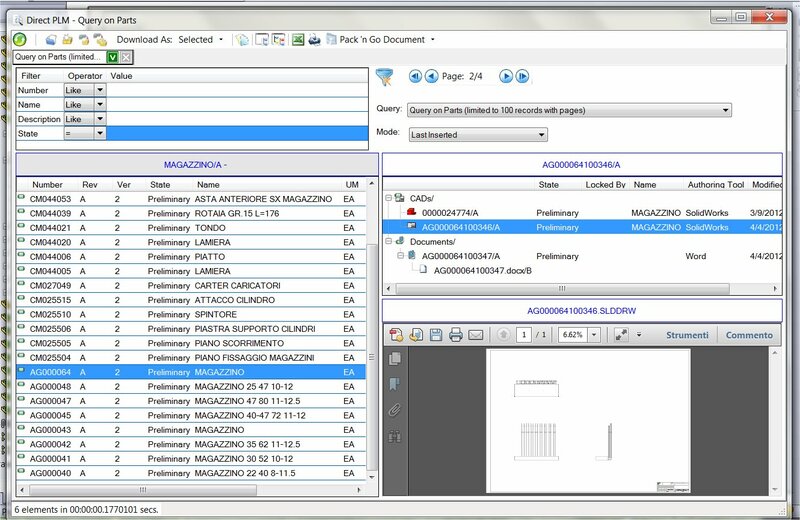 Direct PLM relies upon Aras Innovator® edit forms to input and modify the PLM data; this ensures automatic and real-time alignment between the connector interface and any Aras Innovator® configuration/customization. The following table lists the CAD products currently supported by Direct PLM. To get more information about Direct PLM please download the product leaflet or contact us.